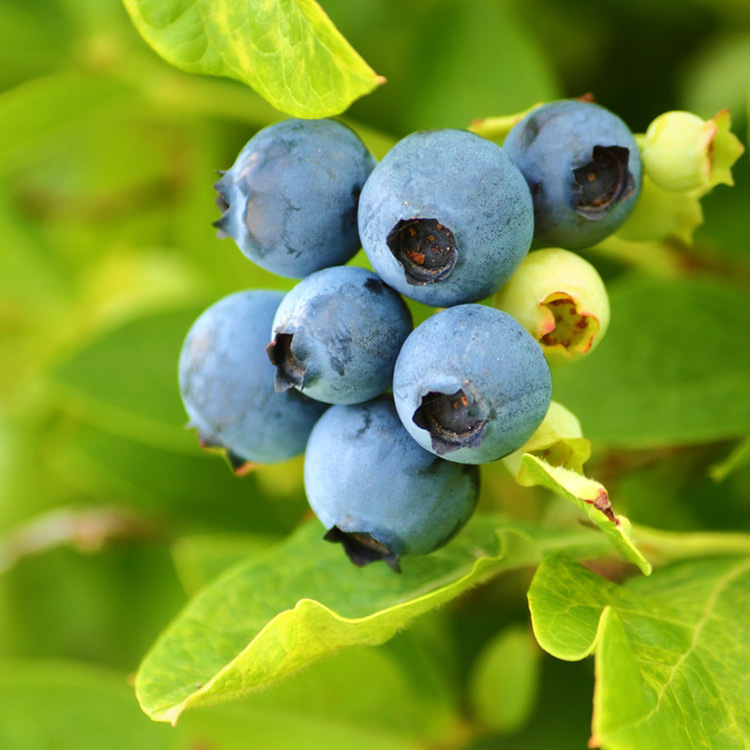 SALE items must be ordered in quantities of 100 plants of each cultivar and size. High-bush type cultivar. Pollinating Group: A. 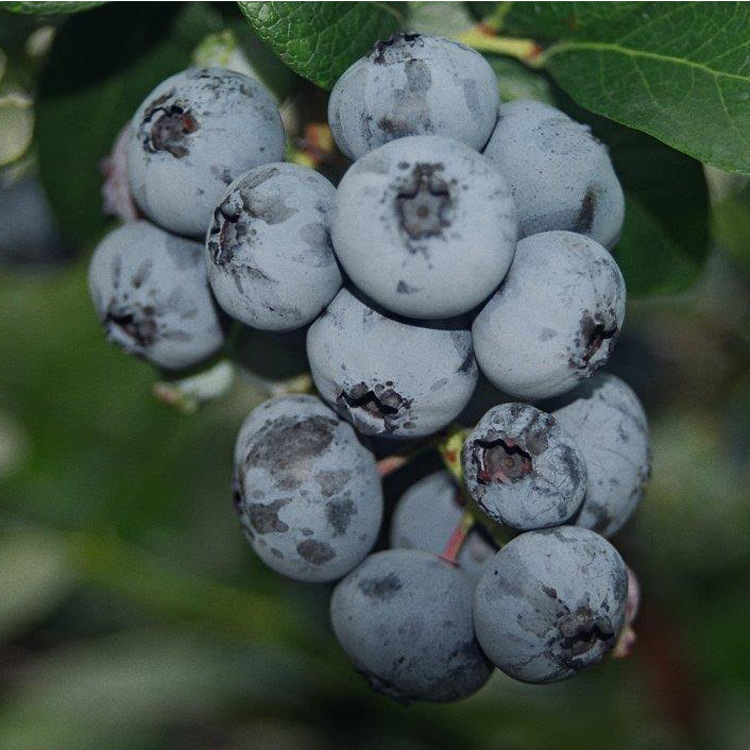 Height of mature bush is 5 to 6 feet and is well proportioned. Sharpblue is fast growing and very vigorous. 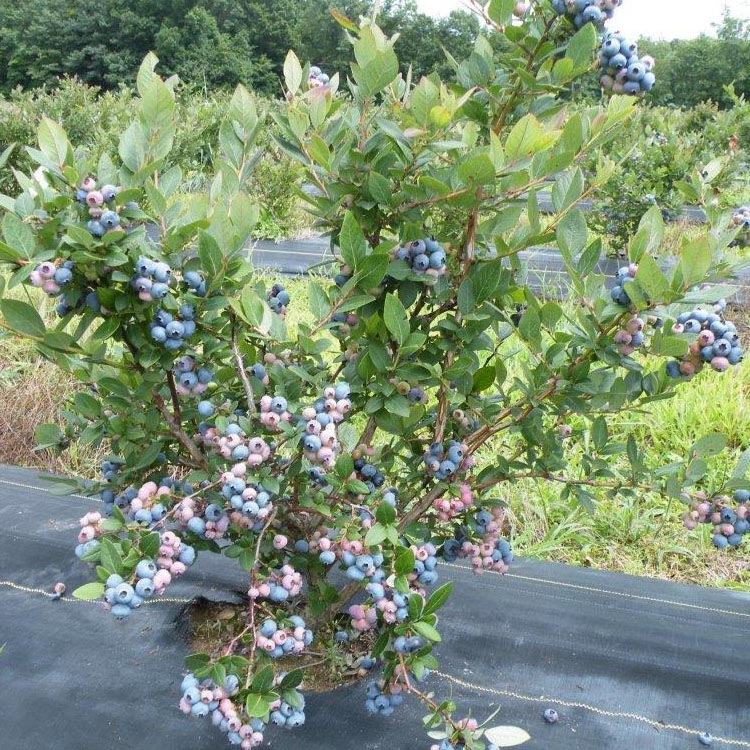 Ripening date is April 27th at Gainesville, Florida. 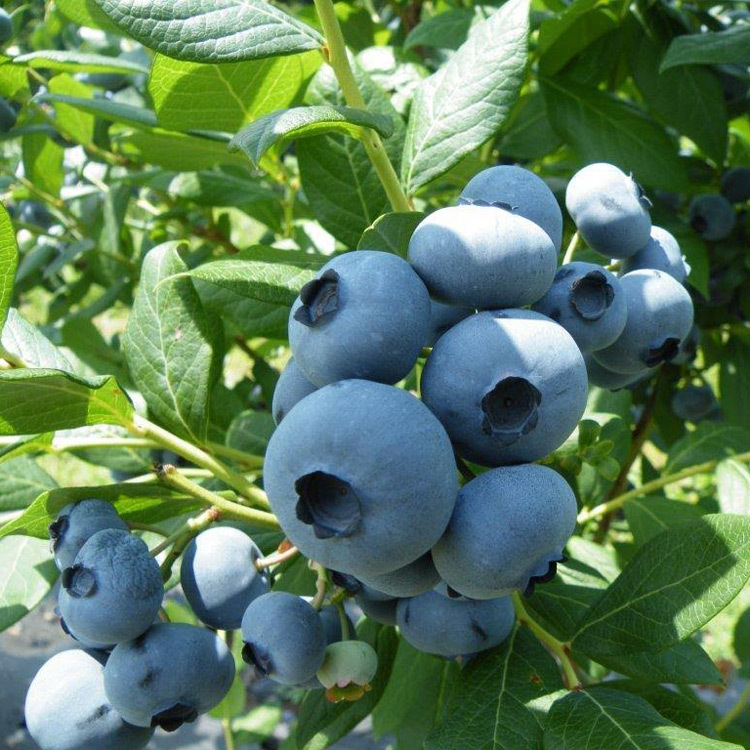 Yields of 8-16 pounds per bush can be expected on well-kept, irrigated plantings. 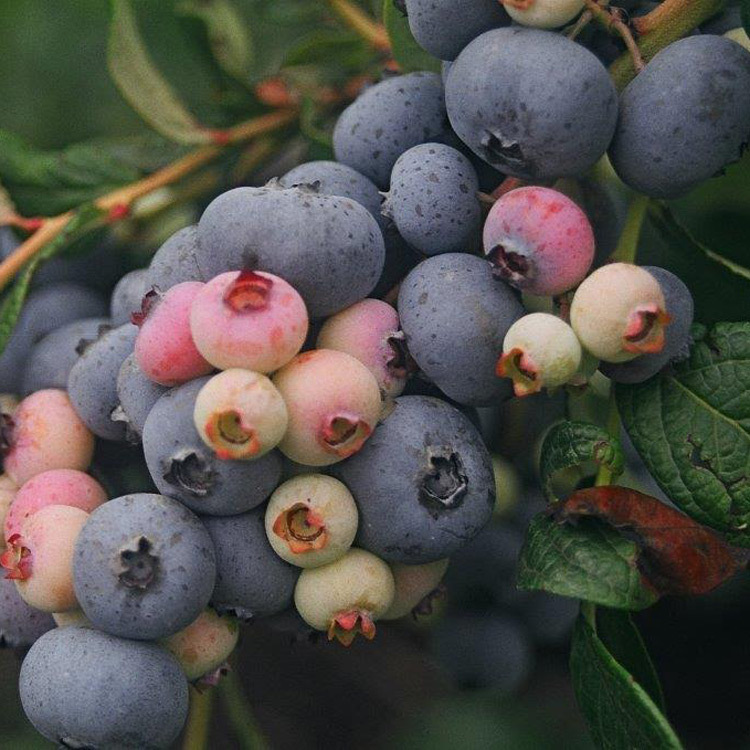 Fruit size is large with 75-80 berries per standard cup. Berry quality is fair to good. 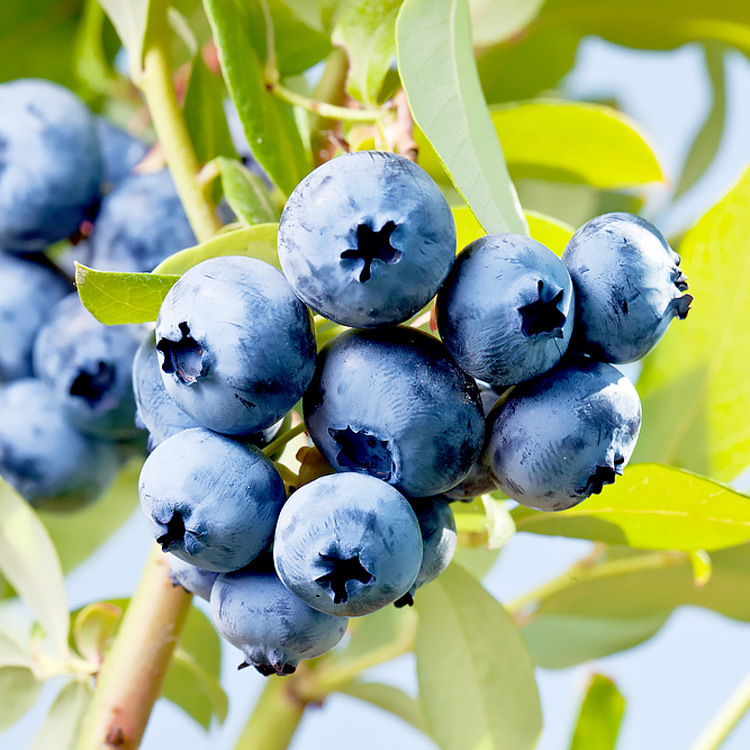 The fruit should be shipped the day it is harvested to ensure the best quality. The berry has a small picking scar. 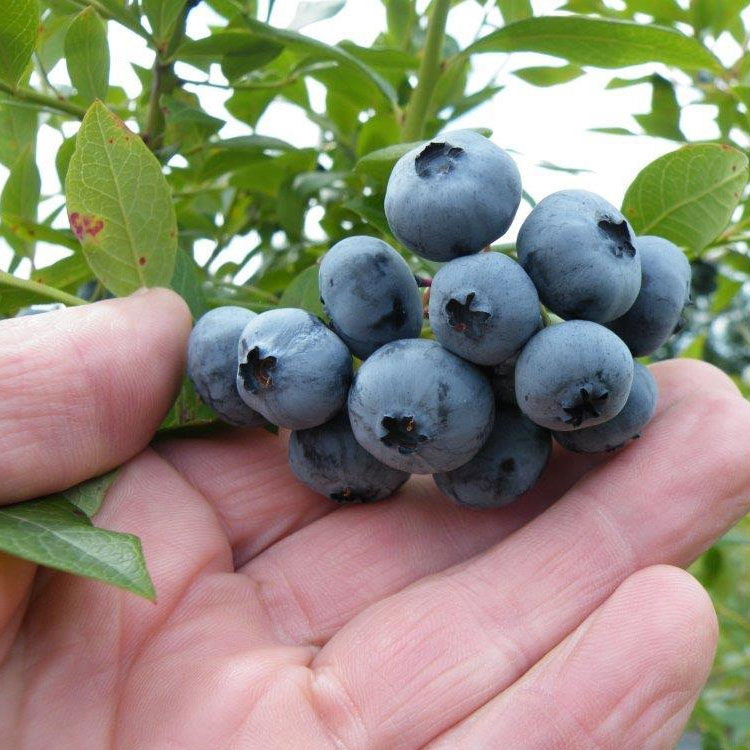 Harvesting by hand is the only method used to date. The bush is suitable to mechanical harvesting. Ornamental use is very good. The bush can be grown as an ornamental as far North as Zone 5 and South to Zone 10. 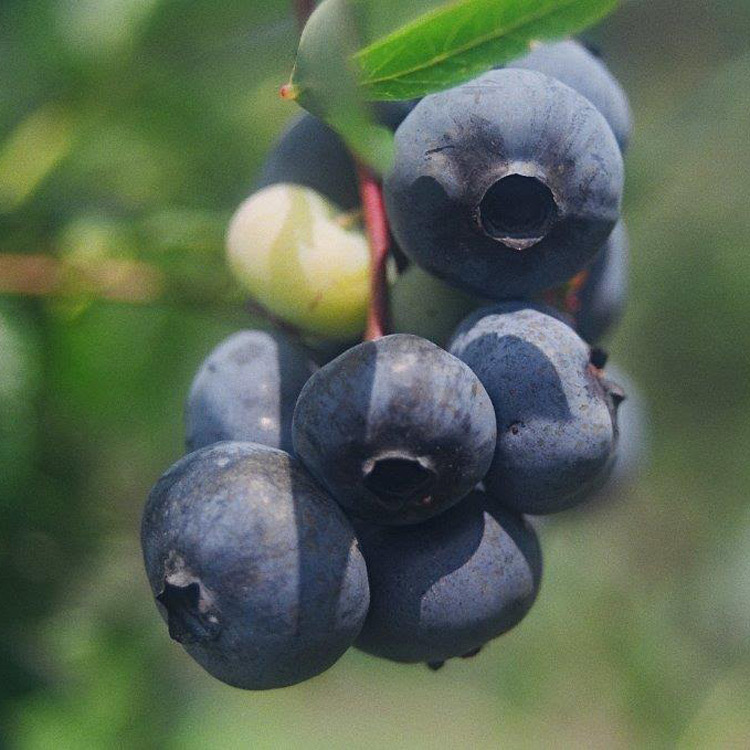 Sharpblue is the number one southern high-bush blueberry planted in Florida. 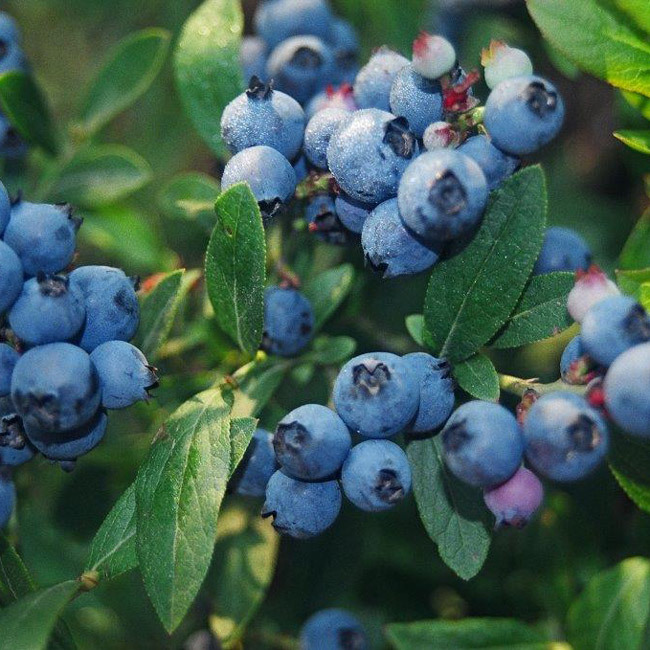 Testing should be done in other states to test hardiness and fruit production. Hardiness Zones 10a-7b.